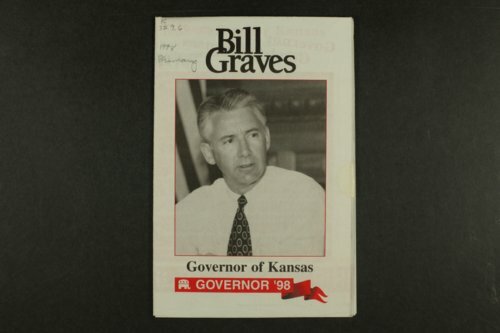 This political brochure promotes Governor Bill Graves as the Republican candidate for the August 4, 1998 gubernatorial primary. The brochure features images, a brief biographical sketch and major accomplishments from his first administration. Graves also reminds voters to compare his political record to that of his challenger. Graves defeated David Miller, former Chairman of the Kansas Republican Party.